If you know me, you'll know how much I love a good fake tan session. I love being bronzed and it makes me feel 100% more confident when I have a tan. I have tried endless brands before; from Bondi Sands, to Loving Tan and St Moritz and I have repurchased the St Tropez dark bronzing mouse a number of times (especially during my university days when it was important to rock a tan on a night out!) 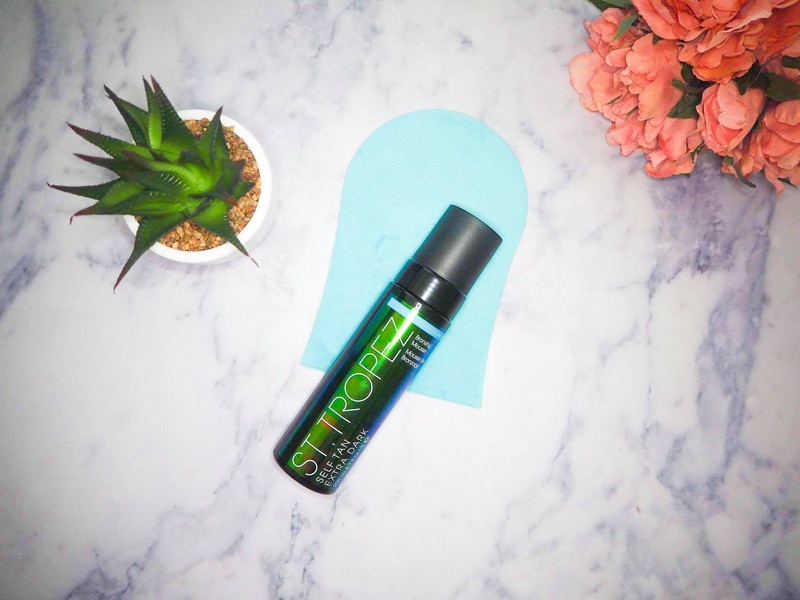 I have been eyeing up the new St Tropez extra dark bronzing mousse for a while now and I am so excited to share my review and results with you. The St Tropez extra dark bronzing mousse* is lightweight and hydrating and gives you a dark tan in a matter of hours. You can leave the tan on for 4 hours for a dark tan and 8 hours (or overnight like I do) for more intense tan. The tan is cruelty free and works on all skin types - which is great for people like me who suffer with dry and sensitive skin and it's not sticky so you don't have to wait around for hours after using it. It also smells like a holiday rather than the standard biscuit smell you usually get which is a bonus!! First off, can we please just appreciate this packaging please? How gorgeous is the bottle? It's making me want to get straight to the nail salon and get my nails done in a similar mermaid esque colour! The bottle is a 200ml size, which is the standard for the St Tropez mousses. It comes with a pump for application and is really easy to apply as it has a very visible guide colour. The night before I tan I use exfoliating gloves to exfoliate my skin after shaving my legs. Once I've showered I make sure to moisturise my hands, feet, elbows and knees to ensure the product won't cling to the dry parts of my skin. When I'm ready to apply the tan, I take my St Tropez luxury mitt (which is as soft as a babies bum) and apply 3-4 pumps of the tan to each part of my body. I start off with the legs, then do my arms and chest area and the rope in my boyfriend to help me do my back (I need to purchase one of those back tanner devices asap). One thing I'd say about the guide colour is that I was sceptical of how dark the tan would go as the guide colour is SO dark and has a green coloured tinge, however when I washed it off in the morning I had the most perfect tan. I literally feel glowing. I love how natural it is but it definitely makes you look like you've been lying on the beach for weeks on end. 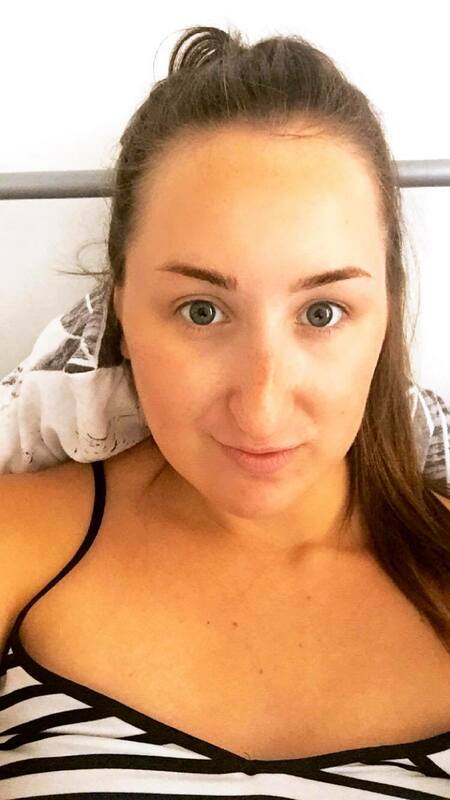 I suffer badly with dry skin and usually when I tan my face I get severe dryness and end up with streaks however I was pleasantly surprised to see that this tan applied really smoothly to the face and left me looking sun kissed. After I slept in the tan overnight I had some streaks on my face and arm which I'd clearly lent on however after panicking when looking in the mirror, once I'd showered the streaks dissapeared and the tan was even all over. After applying the tan on Thursday evening it's so far lasted really well over the last couple of days. I've applied moisturiser after showering like I normally do and the tan is still streak free and fading evenly. I would say I had a deep colour for the first three days before it faded slowly. Overall I can't say enough good things about this tan. 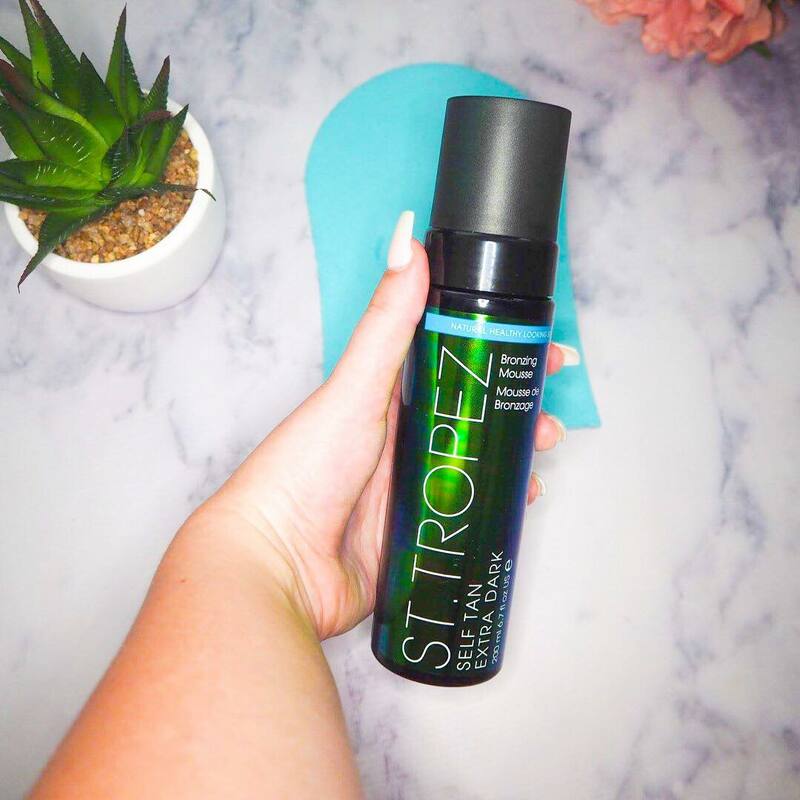 I knew I'd like it because I've used various tanning products from St Tropez so know that it works on my skin type however I was scpetical of the colour and whether it'd apply streak free as the review I'd previously read where mixed. I am obsessed with the golden colour it gives me and I have had so many compliments. I've just returned from a holiday in Spain and although I did tan a little bit, it was much more of a burn so I was eager to turn myself into a golden goddess and this tan definitely didn't disappoint. The tan did take a bit longer to dry than others I've tried, but I'd be more than happy to wait as the end result is amazing. I would highly recommend this product. I've already sent my sister out to buy it and I will 100% be repurchasing it. It feels like I've gone back to the good old days at Uni and using St Tropez gives me all the nostalgia feels! You can purchase the tan for £34.00 from the St Tropez website or get down to Superdrug as it's currently on sale for £16.95!! Although it's expensive, it lasts ages and if you buy it in bulk when it's on offer you'll be sorted forever! Have you tried the extra dark mousse yet? Let me know what you thought of it in the comments below. I'd be interested to see how it works on other skin types. Disclaimer: These items were gifted to me however this post is NOT sponsored. All opinions are 100% my own.